Happy Birthday PASSPORT Magazine ! 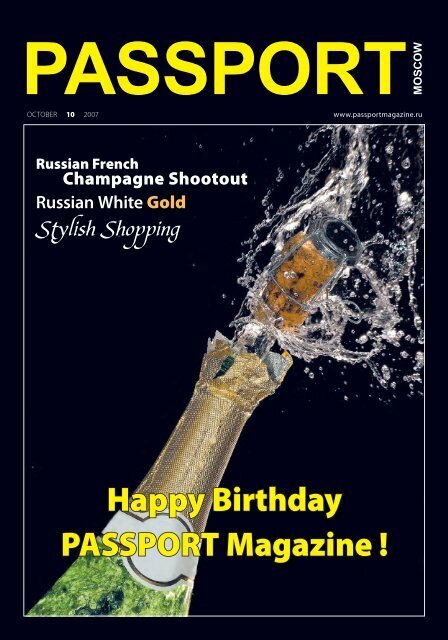 OCTOBER 10 2007 www.passportmagazine.ru Russian French Champagne Shootout Russian White Gold Stylish Shopping Happy Birthday PASSPORT Magazine ! Magazine: Happy Birthday PASSPORT Magazine !